Since its official launch in January 2012, The Eighth Sea has already had more than 45,000 downloads and has ranked #1 in both Historical Fiction and Historical Romance categories on Amazon.com. Have You Found Your Eighth Sea? In the cold, black hold of a sailing ship, a young woman lies dying, tormented that her death will mean nothing. No one will know. No one will care. Only the will to find a purpose for her life keeps breath in her exhausted body. Far away, a soft Carolina breeze touches a mother’s face as she peers into the night sky, agonizing over the loss of her infant daughter nineteen years before. A haunting vision that will not leave her—it whispers of a living tie, still unbroken, to that baby long ago. Worlds apart and unaware of one another, the mother and daughter fight their lonely battles for survival. Between them—a man rising to greatness with the new America will bring them together. In 1769, on the shores of St. Christopher in the West Indies, Weston and Emily Emerson are devastated by the sight of their infant daughter’s blanket floating among the splintered remains of a lifeboat. The voyage that began with promise of a new beginning in America ends in tragedy when a violent storm separates them from their child. Believing their daughter has perished, the heartbroken Emersons continue their voyage to the Colonies, not knowing Brenna was rescued. Nineteen years later, Brenna, unaware of her true identity, begins an odyssey that will take her far from her dismal existence on St. Christopher. 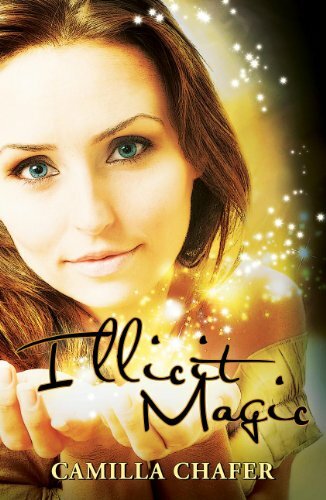 A chance encounter with a mysterious stranger will forever change the course of her life. In the old Roman city of Bath, Nathan begins an unrelenting search for Brenna that sweeps across England, involving romance, murder, and intrigue. The themes of this story are universal: a long journey; separation and return; uncertainty; searching and finding; the search for understanding God’s will amidst tragedy; and finally, the realization that people can be bound together forever. The Eighth Sea is a passionate love story involving two unforgettable characters—Brenna and Nathan. Their story is our story—finding our place in the world, the meaning of our lives, our way home. Brenna’s solution is to set sail beyond the only world she has ever known and into her eighth sea. The story is inspirational, and its romance is deep and enduring. Struggling to triumph are three major characters: Brenna—determined to find her place in the world yet haunted by the shadows of abandonment and self-doubt; Emily—plagued with grief over the loss of her only child an unable to shake a disturbing sense that something is unresolved; and Nathan—strong and charismatic, discovering that in his search for Brenna, he has found himself. Their story is a tribute to the human experiences of good overcoming evil, the power of persistence, seeking God, and finally, of love enduring against all odds. 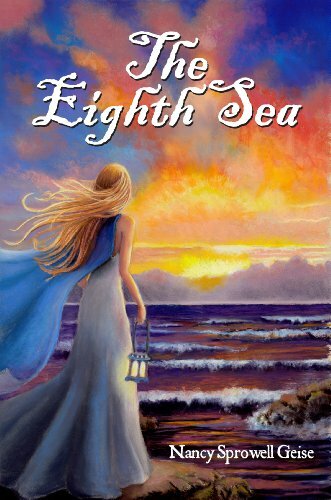 The Eighth Sea is hard to put down, a deep and enduring romance, a plot filled with unexpected twists and the characters hard to get out of one’s mind…an inspiring journey into the unknown. A book club must read! The Eighth Sea—finding the meaning of our lives, our way home. If you love sensual, suspense-filled reads, CJ Lyons will not disappoint. A pediatric ER doctor turned best-selling author, Lyons expertly writes what she knows and consistently creates riveting, fast-paced stories filled with engaging characters. Today only, these five novels are up to 80% off yesterday’s price. The room was sparse and dimly lit with the flickering of strawberry-scented candles. Power was out. 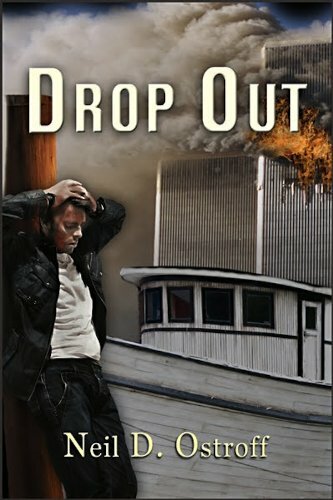 It had been nearly a decade since Nathan had stood inside someone’s home; since that tragic day when he lost everything that ever mattered to him. Outside, a hurricane sounded like it was beating palm trees against the earth. Nathan didn’t know the woman who’d rescued him from the throes of the deadly storm, but he would soon enough. Her name is Miriam and she is about to change everything he ever thought about the meaning of life and what lies beyond. Nathan will discover that the strength of love can piece his shattered world back together and heal wounds that cut deep into his soul. But he never figured the perils he and Miriam were about to face by knowing the most horrible knowledge that one can know. This fascinating guide to the lives, deaths, and final resting places of the world’s most influential figures has been revised with dozens of entries. From Kurt Cobain to Rosa Parks, each entry includes a capsule biography with little-known facts, a description of the subject’s death, and directions to their grave. When an attack by ruthless witch hunters forces twenty-four-year-old Stella from her home in London into the protection of the powerful Witch Council in New York, she has to put her faith in strangers just to stay alive, yet she might not be any safer in their midst than the danger she escaped. Hidden from the Brotherhood in an extraordinary safe house by the sea where she is sent to learn her craft, Stella finds there is more than one dark secret in her new family: Étoile’s sister is spoken of in fear and sadness; Marc is supposed to be a powerful warlock but is missing his magic; where does the owner of their safe house vanish to every day and why does Evan have the eyes of someone not quite human? One secret is important enough to kill for and it’s a secret so powerful it could destroy the fragile threads of Stella’s new world. “Anyone who likes Charlaine Harris would most definitely enjoy this book. It’s well written, rich in description and the characters are instantly likeable.” Amazon UK review. “…an enticing read with engaging characters and action-packed adventure that will have you biting your nails as you delve deeper into the mystery, madness and mayhem of Stella Mayweather’s life. Things aren’t always as they seem as secrets are revealed, the plot thickens, allies become enemies, friendships are tested, and love begins to blossom.” The Readers Roundtable Infinity & Beyond. From the award-winning team of Deborah Shlian and Linda Reid comes a fast-paced thriller set in Los Angeles during a wind-whipped fire season. Stoking the city’s heated tension is late-night radio personality Sammy Greene, who’s targeting a popular politician. When someone Sammy knows is found dead, Sammy worries she’s next.